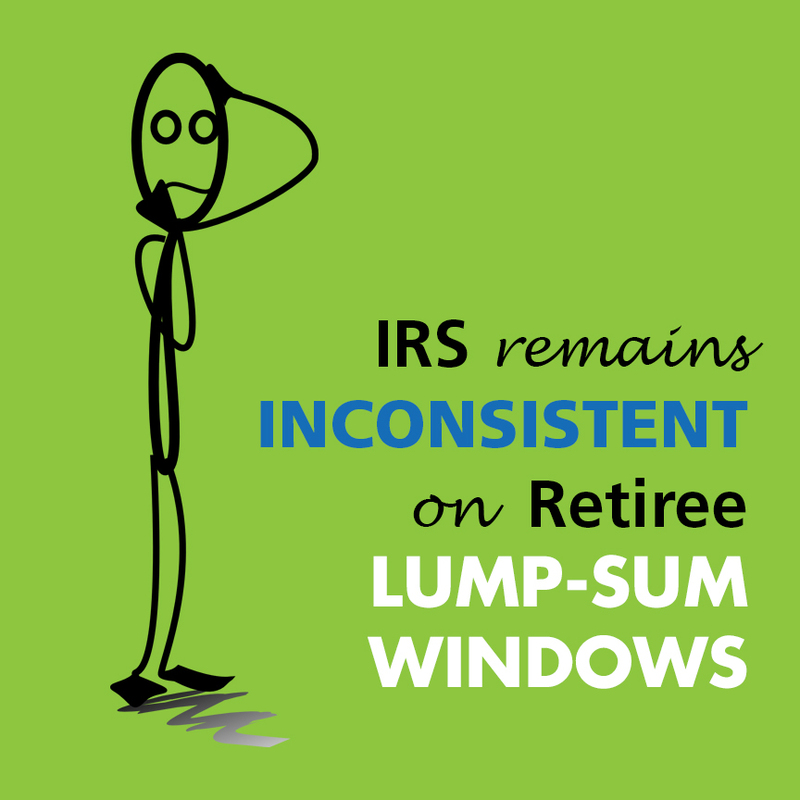 The IRS issued a Notice on March 6th that makes the treatment of retiree lump-sum windows clear as mud. Retiree lump-sum windows previously allowed defined benefit plans to establish a temporary window for participants already receiving an annuity to elect to receive a lump-sum distribution in lieu of future annuity payments. That is until the 2015 IRS Notice (analyzed in prior blog post) reversed course by overruling prior guidance and concluding that defined benefit plans could not accelerate benefits already being paid through the use of a lump-sum window amendment. The 2015 Notice has now been retracted by Notice 2019-18, but the issue appears to be far from settled. 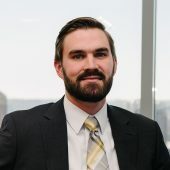 To offer the windows prior to the 2015 Notice, defined benefit plans had to work around the required minimum distribution regulations, which prohibited increases in benefits after a participant began to receive them. The regulations contained several exceptions, including one exception that permits annuity payments to increase “to pay increased benefits that result from a plan amendment.” To fit within this exception, benefit plans amended their plans to offer a lump sum payment option during a limited window to individuals who were already receiving annuity payments. The IRS gave their blessing to these amendments through Private Letter Rulings as late as 2014, and concluded that the requirements of the minimum distribution regulations were met because each annuity cash-out would be treated as an increase in an annuity payment associated with a plan amendment. The IRS abruptly altered this conclusion in 2015, and issued a Notice that defined benefit plans could not accelerate benefits through the use of a lump-sum window amendment. The IRS believed that the prior IRS guidance resulted in an overly broad reading of required minimum distribution regulations, and stated that the regulations would be updated to specifically exclude lump-sum window amendments. The changes to the regulations never came, and with the recent Notice the IRS retracted their intent to propose the amendments to the regulations. The IRS will not issue Private Letter Rulings on the issue like it did before the 2015 Notice, but assured plan sponsors that the IRS “will not assert” that a plan amendment providing for a retiree lump-sum window program violates the required minimum distribution section of the Internal Revenue Code. Offering a lump-sum window option can provide significant benefits for plans. Allowing lump sum cash-outs is a de-risking strategy, and enables plans to shed future long-term liabilities. Also, reducing the amount of plan participants will reduce a plan’s PBGC premiums. Reducing PBGC premium payments is even more beneficial now than it was in 2014, as the per-participant rate for premiums has increased by almost 50%, from $47 in 2014 to $80 in 2019. Retirees may also benefit from a lump-sum window because it allows a participant who originally elected to receive an annuity to reassess their retirement and current health situation to determine whether a guaranteed payment for life or a lump-sum payment is more appealing. Many plans will want to take advantage of the benefits provided by the lump-sum windows, but unfortunately the recent Notice does not illuminate what the IRS’s long-term treatment on the issue will be. Although the guidance in the 2015 Notice has been retracted, the IRS “will continue to study the issue of retiree lump-sum windows.” While promising, the recent guidance looks more like a yellow light than green, so plan sponsors should be cautious before acting.